A Woodburytype is both a printing process and the print that it produces. In technical terms, the process is a photomechanical rather than a photographic one, because sensitivity to light plays no role in the actual printing. The process produces very high quality continuous tone images in monochrome, with surfaces that show a slight relief effect. Essentially, a Woodburytype is a molded copy of an original photographic carbon print. 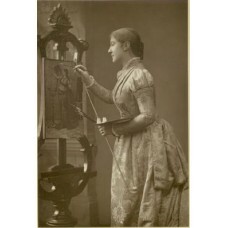 The process was introduced by Walter B. Woodbury and was in use during the final third of the 19th century, most commonly for illustrating fine books with photographic portraits. It was ultimately displaced by halftone processes that produced prints of lower quality but were much cheaper. Vernacular Photography.com has Numerous Woodburytype Prints you may wish to review. 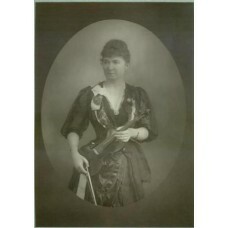 Miss Wadman Portraitby Herbert Rose Barraud (24 August 1845 – 1896) A noted portrait photograph..
Lewis & Gilbert Portraitby Herbert Rose Barraud (24 August 1845 – 1896) A noted portra..
Madame Normann-Neruda Holding A Violin PortraitMen & Women of the Dayby Herbert Rose Barrau..
CDV. W.P. Frith, English Artist. Window & Grove . woodburytype Print. 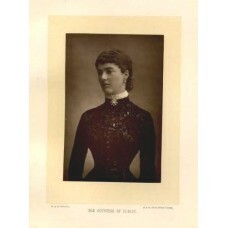 2 1/2 &n..
W. and D. DowneySir Frederick LeightonWoodburytype3 3/4 X 5 1/2 inches on a&..
W. and D. DowneySARAH BERNHARDT Woodburytype3 3/4 X 5 1/2 inches on a &n..
W. and D. DowneyLord Charles BeresfordWoodburytype3 3/4 X 5 1/2 inches on a&..
W. and D. DowneyMiss LangtryWoodburytype3 3/4 X 5 1/2 inches on a &nbs..
W. and D. DowneyMr. 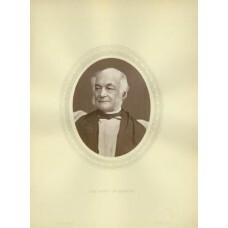 James Payn, English NovelistWoodburytype3 3/4 X 5 1/2 inches o..
W. and D. DowneyMr.Frank LockwoodWoodburytype3 3/4 X 5 1/2 inches on a ..
W. and D. Downey Professor HuxleyWoodburytype3 3/4 X 5 1/2 inches on a&..
W. and D. DowneySome Leading Actresses, A GroupWoodburytype3 3/4 X 5 1/2 inches on..
W. and D. DowneyThe Princesses Victoria and Maud of WalesWoodburytype3 3/4 X 5 1/2 ..
W. and D. DowneyThe Countess Of DudleyWoodburytype3 3/4 X 5 1/2 inches on a&..
W. and D. DowneyThe Duke and Duchess of York and BridesmaidsWoodburytype 3/4..
W. and D. DowneyThe Duke Of ConnaughtWoodburytype3 3/4 X 5 1/2 inches on a&n..
Madge Kendal Woodburytype Portrait. 1870"s-1880's. Actresses 3 1/2 X 5 .. The Prince Of Wales. 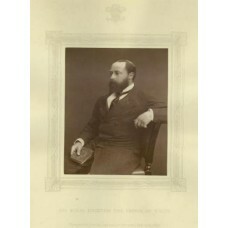 Woodburytype Portrait. 1870"s-1880's 3 1/2 X 5 inch images on a 7 X ..
George Moberly, Lord Bishop Of Salisbury. Woodburytype Portrait. 3 1/2 X 4 1/4 inch..
Goodwin Smith. 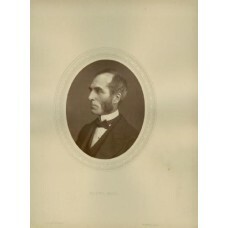 Woodburytype Portrait. 1870"s-1880's. 3 1/2 X 4 1/4 inch oval ..